Or a perfectly poured cocktail. 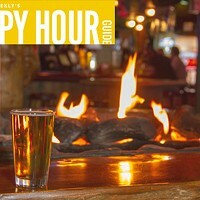 Whatever your poison, wouldn't you say now's a good time to tip a glass, Central Oregon? 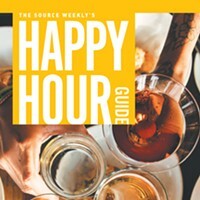 For this season's happy hour guide, we put on our big-city britches (hey, Bend is growing... gotta think big) and turned our focus on the Manhattan, the classic drink that, surprisingly, can be made a lot of different ways—and with varying degrees of quality. Page through this guide to read about our search for the ideal Manhattan, and then go tip your own glass somewhere good around 5 tonight, K? The Manhattan is rumored to have been first poured in New York City at a banquet in the honor of Winston Churchill's mother in the early 1870s—though conflicting reports state she was actually at home in Great Britain at that time, pregnant with the future Prime Minister. Although many mixologists have put their own twist on the drink, its origins came from rye, bitters, sweet vermouth and a Maraschino cherry garnish. And, as Ian Fleming's protagonist said, "shaken, not stirred." Dave's B-side is a sweeter, lighter take on the classic drink. The ginger-peach bourbon sets off the vermouth without making the cocktail into a drink-with-your-pinky-out disaster. On the nose, it's as Manhattan as Times Square, the intoxicating smell of bourbon beckons you to dive in. As reviewed by Chris Miller. Special stuff: House-made cherries. Yum. Where the B-side is a bit too sweet for my taste buds, Dave's take on the standard drink is excellent. 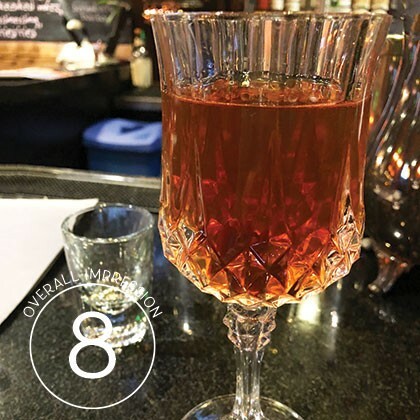 The 90-proof Bulleit pairs perfectly with the bitters, vermouth and cherries, shaken with ice to a temperature immediately drinkable. 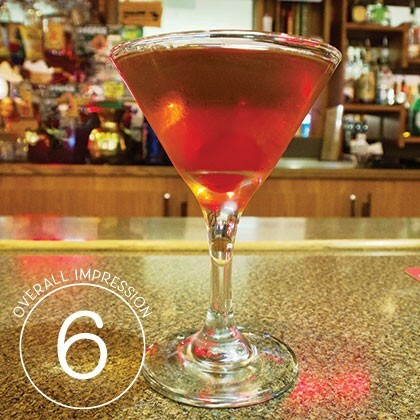 Although the drink's excellent, it could become a perfect Manhattan with the addition of a dash or two of cherry juice and a bit less vermouth. As reviewed by Chris Miller. This was the stiffest Manhattan I've had. What it lacked in elegance, it more than made up in brute strength. I had to let the ice cool it off before diving in. 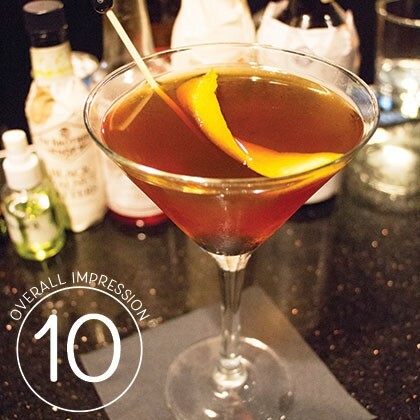 The 100-proof bourbon packs a good punch, and the liberal amount of vermouth gives your mouth the feeling you just had too much wasabi. If you head to the Southside—which I suggest you do—make sure you have a rideshare app to get home. As reviewed by Chris Miller. This is a very bare bones Manhattan, but sometimes simple is good! Apparently, cowboys don't like a lot of frills. Served over ice in a rocks glass with just a dash of sweet vermouth, this cocktail isn't even shaken. 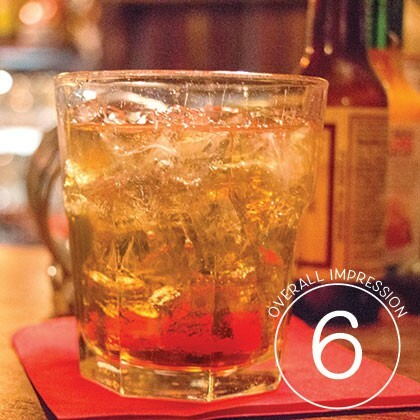 For those who like whiskey, the lack of fanfare probably won't faze you. Bulleit is a mellow, smooth bourbon, so the sweetness from the vermouth is enough to make this an enjoyable sipping cocktail without all the extras. As reviewed by Keely Damara. 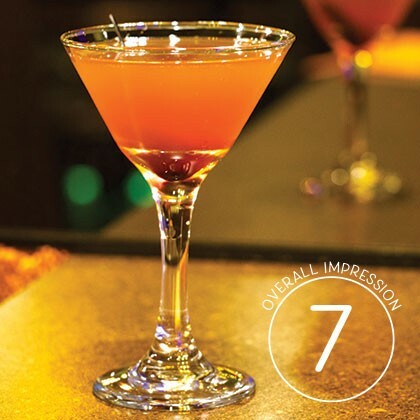 You'll find all the usual suspects in the Jackalope's Manhattan. The real secret to this fantastic martini is how these quality ingredients are put together. Stirred, not shaken—key to keeping it from watering down, served up in a martini glass with a flambé orange peel (for the nose as you sip). 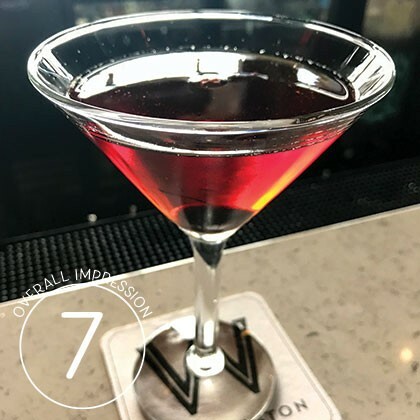 The warm, pepperiness of the Black Saddle Bourbon is just the perfect amount of sweet, accompanied by Luxardo maraschino cherry, candied with Marasca syrup. If you haven't had a Manhattan at Jackalope yet, you're missing out! As reviewed by Keely Damara. Washington doesn't have a Manhattan on the menu, but the bartender, Benjamin, whipped up his own version. Rye whiskey is typically dry to the palate, made from rye mash instead of corn mash like in bourbon. The Amaro liqueur and port lent a sweetness that cut through the rye, really making the spice in the whiskey shine. Definitely not a traditional Manhattan, but still a solid choice. As reviewed by Keely Damara. For those looking for a chic spot to take a date before dinner (or after), you can't go wrong with Dogwood. 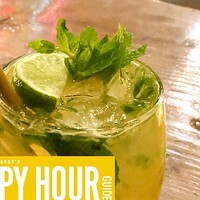 The spot's "Cabin Fever" happy hour doesn't include a Manhattan, but true to form for this venue pouring excellent drinks, they'll whip one—or two—up for you and do it well every time. As reviewed by Nicole Vulcan. Atmosphere: Dim and somewhat manly. The whiskey person's whiskey bar. During my time bellied up to this bar, the conversation centered around the various spellings of "whiskey." Should there be an "e" in all American varieties? Does anyone care anymore? Yes, dear bartenders, some of us grammar-snobby, whiskey-loving patrons DO care. Swoon. And oh, the drink? Solid, with mad props for the recommendation of an Oregon bourbon. Plus, the combo of two types of vermouth—one meant to offer less sweetness—belies a whiskey craftsman's touch. As reviewed by Nicole Vulcan.